Remember, a data backup and disaster recovery solution still has value and returns on your investment, even if it’s not in use. You should focus down what your goals are for your recovery point objective (RPO) and recovery time objective (RTO), which gives your business the greatest chances of successfully recovering from a disaster. RPO is a reflection of how much data you want to recover to get operations back to an acceptable level. It’s important to keep in mind that not all data is the same. Some of it will be more important than others. It’s up to you to make this distinction so that you can restore an acceptable level of data without having it take too long. On that note, RTO is how long it will take your organization to recover its data for operations to return to some semblance of normalcy, or at least to the point where you’re not operating at a loss. Using a cloud-based data backup system can cut down on the time your business is knocked out of action following a data loss incident, as you can effectively prevent downtime and limit loss in this way. Downtime is defined as any time your organization isn't working as it’s supposed to, so it doesn’t even have to be the result of a disaster. These numbers work together to make sure your business suffers the least amount of data loss and downtime, as a combination of the two can be fatal for businesses of all kinds. 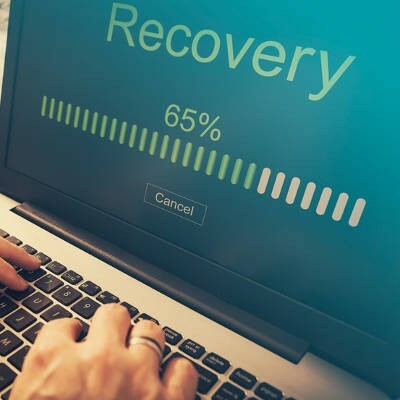 If you don’t have data, there’s no point in performing the restoration, so the two go hand-in-hand to make sure your organization continues to run smoothly with the least amount of damage done. Global Tech Solutions can equip your business with the best data backup and disaster recovery plan out there. To learn more about RPO, RTO, and how it all fits into place for your business, reach out to us at (800) 484-0195.